It is projected that by the year 2014 (Yes, this year!) 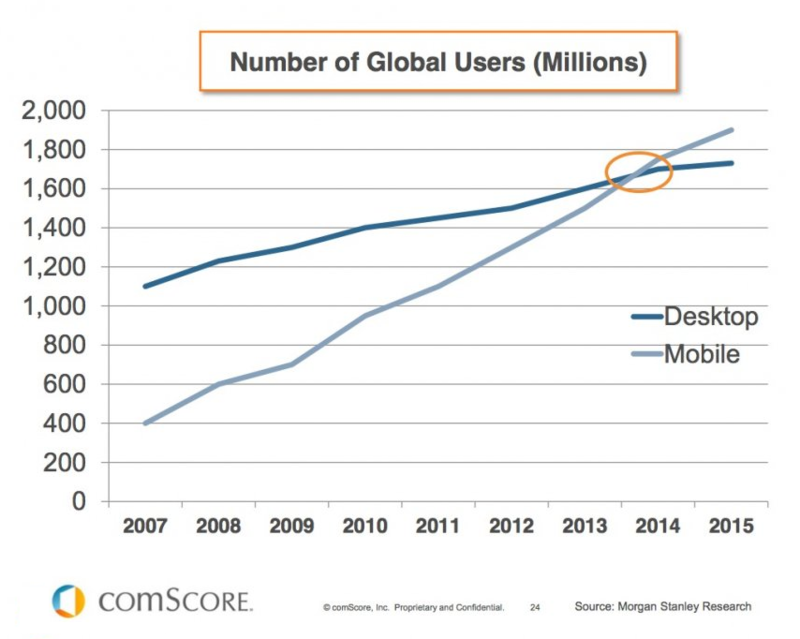 mobile website users will surpass desktop users! As more and more people are using the Internet on the go it is important to have a website that is easily accessible through a mobile device. Having your site optimized for mobile users will ensure that you always reach your customer in a fast, easy, and user-friendly environment. 95 percent of smartphone users have searched for local information. Yet, only 33 percent of businesses have a mobile-friendly website. Because 61 percent of smartphone users will leave a non-mobile optimized website and go to a competitor’s site for a more user-friendly experience. 70 percent of smartphone users who called or visited a business after searching did so within one hour. A mobile-friendly website is critical. Otherwise you risk driving mobile customers away.